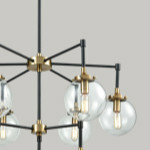 Think You Don’t Have Room for a Chandelier? 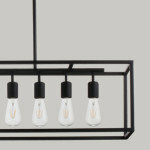 Guide: Where and how high should your hanging lights be? 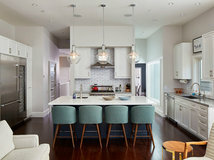 The recommended height to hang a pendant above a table is 28 to 32 inches, but the fixture can be hung slightly higher or lower depending on personal preference, fixture size and ceiling height. 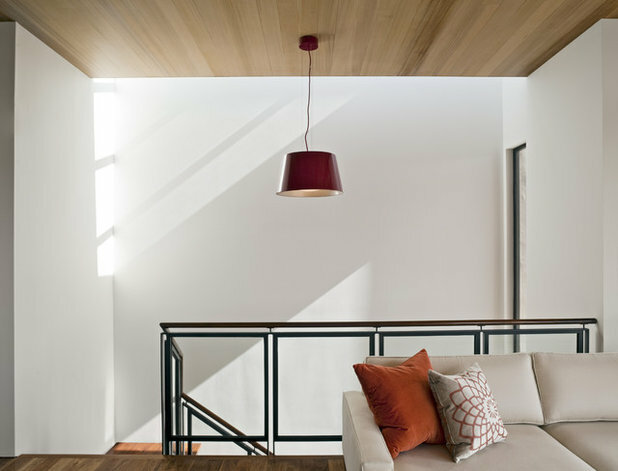 Address whether or not the fixture is to provide task or ambient light (or both) and select a fixture which meets the lighting needs of the location to be hung. 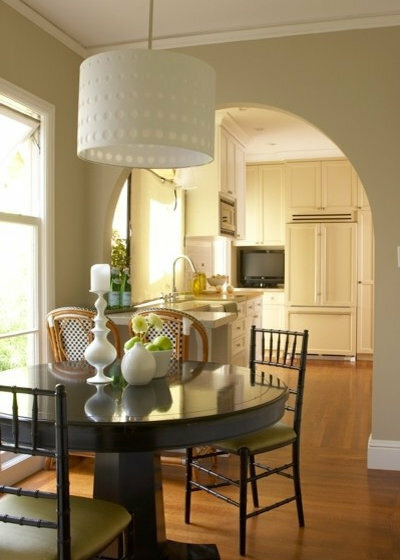 A large drum pendant hung over a table not only anchors the vignette, but if placed on a dimmer the fixture can provide brighter light for any tasks done at the table and softer light while dining. 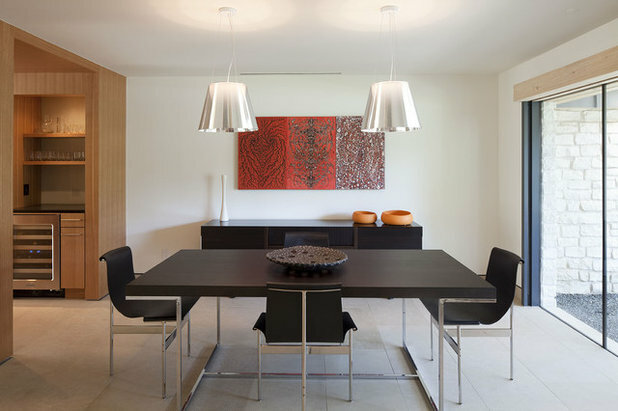 Hanging multiple pendants above a rectangular table can be a very effective choice, not only to properly light the entire table surface, but also for aesthetics. 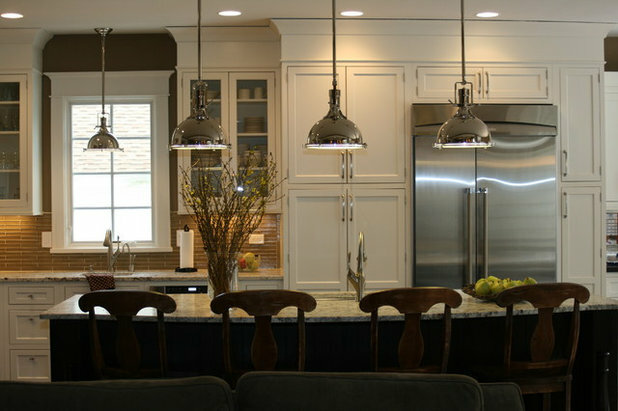 Here the pendants are hung sightly lower than in the previous example and both look appropriate for their specific spaces. 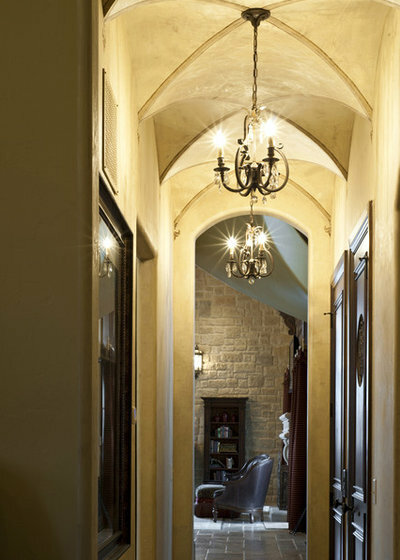 Fixtures hung in an entry or hallway can add a lot of drama and beauty, casting shadows while providing light. 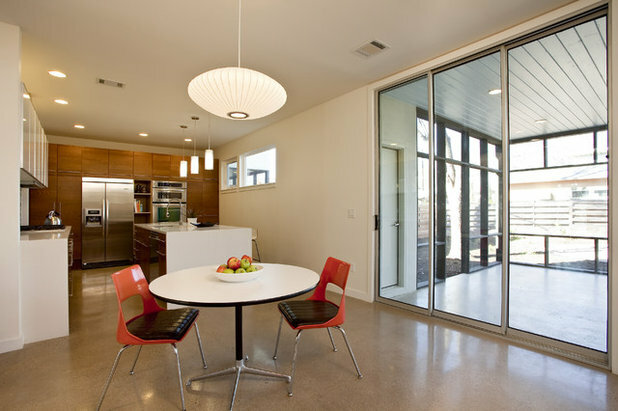 In spaces with tall ceilings it is important that the fixtures not be hung so high that they are outside of the line of sight while standing in the space. 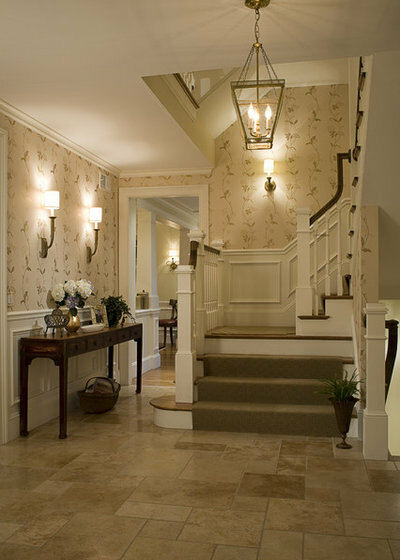 Hanging a series of identical fixtures down the length of a hall creates a classic look. 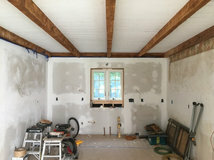 Here it is important that there be approximately eight feet of clearance above the floor, and take note of any doors that will extend under the fixture when opened, ensuring there is enough clearance. 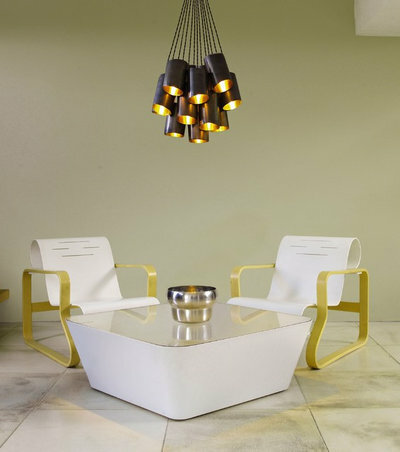 Fixtures hung in a stairwell can add a sculptural element to the area, as well as provide needed lighting. 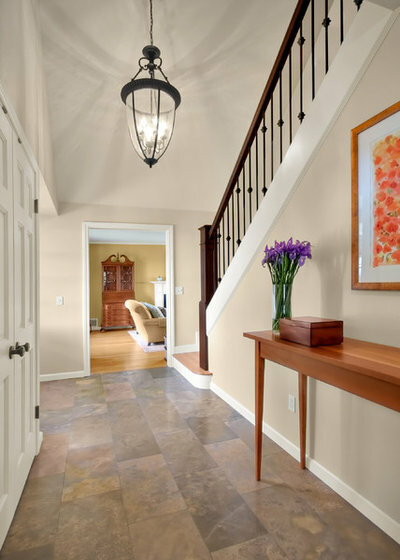 The key is to hang the fixture high enough so that there is plenty of clearance while walking up and down the stairs. I recommend at least 18 to 24 inches of clearance between the bottom of a fixture and the height of a taller person. 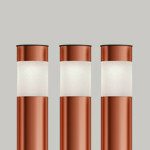 While less may do the job, visually it will cause most people to feel the need to duck when walking under the fixture! 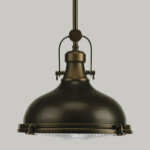 When thinking of pendant lighting what probably comes to mind first are fixtures hung in a kitchen. 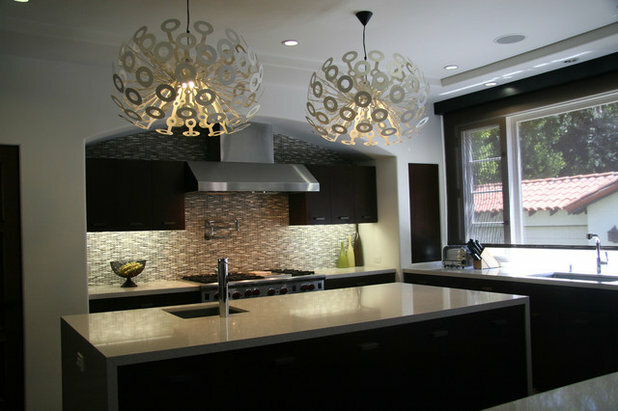 They are a great solution for providing adequate task lighting while also providing an opportunity to enhance or reinforce the kitchen design. 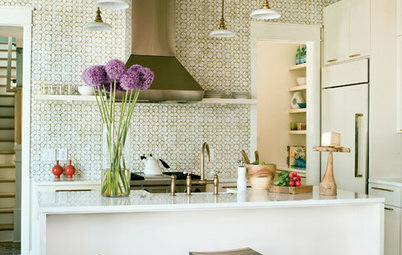 Typically pendants should be placed 28 to 34 inches above the countertop, or 72 inches above the floor. The nickel fixtures are a wonderful choice here, repeating the classic spirit of the kitchen design. 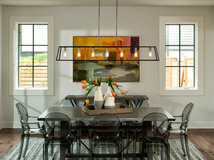 A smaller version of the same pendant is hung in the window, creating a cohesive look. 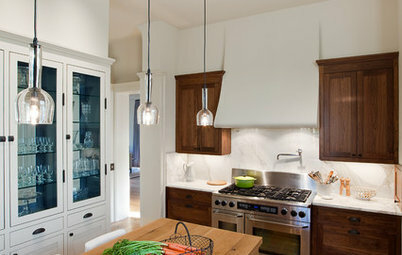 On the opposite end of the style spectrum for lighting hung above a kitchen island are these dual Dandelion fixtures. 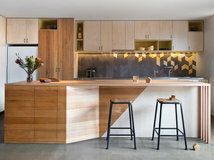 Stylish and dramatic, these help set this kitchen apart from crowd. 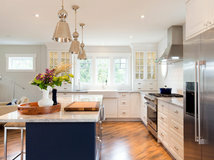 Another tip in hanging pendants above an island or peninsula is to hang the fixtures high enough so that while standing you are not staring directly into the lights. 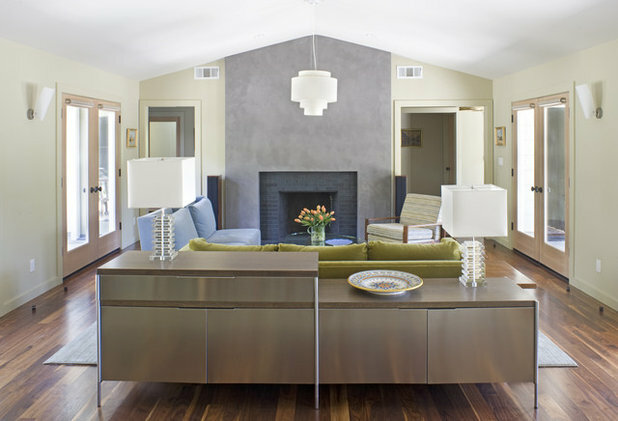 Pendants can be hung lower in the center of a room if there is a piece of furniture placed below it, such as a coffee table. 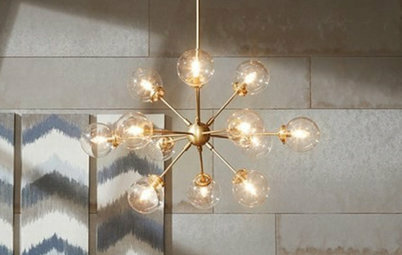 This creates a dramatic look that is also functional, with no fear that someone will walk under the fixture and bump their head! 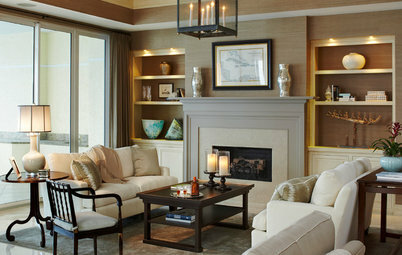 The same approach is taken in this living room, with the pendant hung low enough to allow it to be highlighted against the darker fireplace. 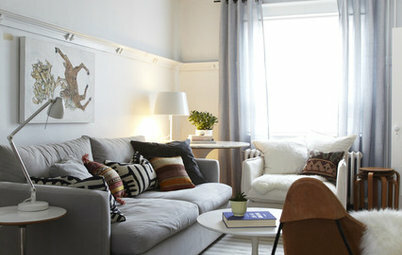 I’ve also begun to notice light fixtures hung on either side of a bed in lieu of table lamps. This can be an effective way to light the area, particularly in spaces where they may be limited room to set a table lamp on a nightstand. 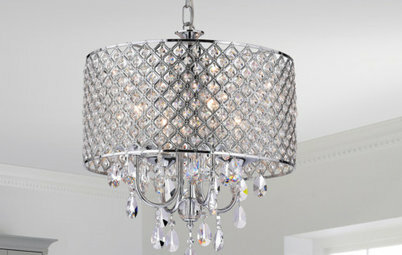 Here chandeliers are hung instead of a pendant fixture, but I just had to include this example. 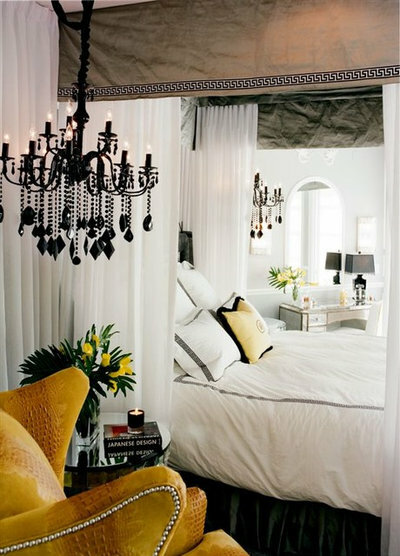 While there is ample room for table lamps, how incredibly dramatic is hanging two black chandeliers instead. 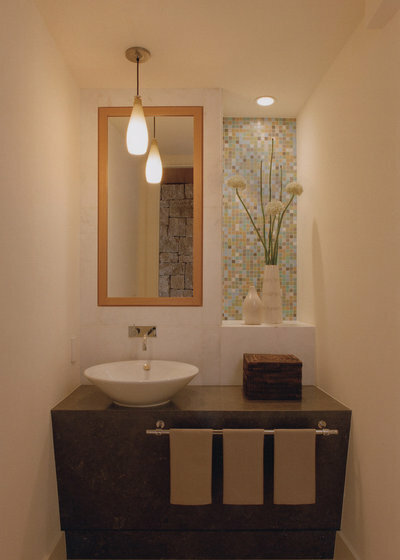 Pendants hung in front or to the sides of a mirror in a bathroom can be a good alternative to more traditional sconces. 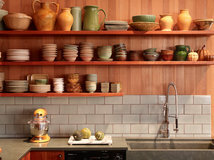 The height at which they are hung should provide the best lighting while avoiding being so low that one would bump their head when leaning over the sink. 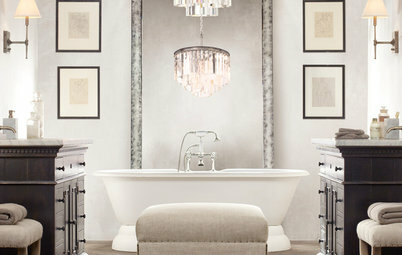 When selecting fixtures for a bathroom make certain they are rated for damp rooms. 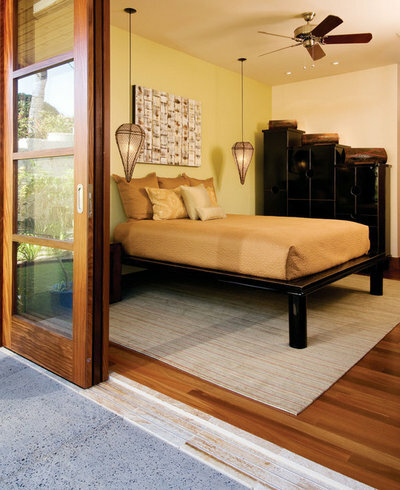 Another location that can be enhanced by hanging a pendant fixture is above the foot of a bed. How low to hang a fixture in this situation will be guided by the ceiling height as well as the size of the bed and fixture. The fixture must be hung high enough so that there is no risk of hitting your head when sitting on the bed, as well as when getting in and out of bed. The fixture is hung fairly low above the foot of this bed, but high enough so as to not block the view of the TV. 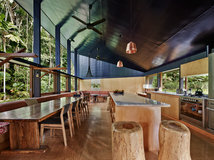 For an island that is 76" long and 28" wide, what is the max size pendant light that can be used? I have chosen a 10" diameter in clear glass that will look less "bulky" but I want to use 3 of them rather than 2 because I like the balanced look. Is 3 going to look too crowded? 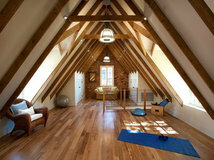 9 ft ceilings, lots of windows and natural light. Hi. I really appreciate his article you posted. I love lighting! It’s like jewelry for your house! It’s important to get it right. I’m rehabbing a house that I would characterize as mid-cent mod. 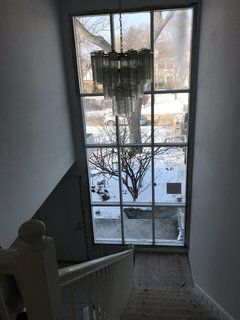 I need a great fixture for the entryway/stairway (shown here). 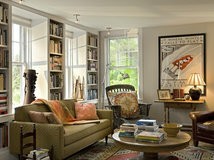 Which do you think is better in this space and what other advise might you give?